You know fall is approaching when pumpkin products start popping up everywhere. From Pumpkin Spice Lattes to Pumpkin Spice Pasta, it’s become one of the most popular flavors on the market between September and December. It’s getting cooler too. Pumpkin-flavored products continue to gain popularity in every category. Data from Nielsen shows that total sales of pumpkin-flavored items in the U.S. are up almost 80% since 2011, to over $360 million in 2015. And this year, Forbes pegs the size of the pumpkin spice economy at more than $500 million. Not only are brands releasing more pumpkin flavored products, the sale season is getting longer. Frostline® pays close attention to foodservice industry trends. That’s why for a limited time only, we’re offering Pumpkin Spice Soft Serve Mix. Combining the rich, complex flavors of pumpkin, cinnamon, nutmeg and clove, it’s a fall favorite that’ll have customers beelining for your operation. This product won’t be around for long, so get it while it lasts. For more information, visit our product catalog. Contact us for ordering information. The 4th of July is a special day for U.S. families, and not just because it’s Independence Day. Offices close, and with school already out, parents and kids have the opportunity to spend quality time together. Outdoor barbecues are everywhere, most communities have parades, and fireworks can be seen far and wide. Independence Day is the family holiday of the summer. And when families celebrate, especially in the midst of warm weather, there’s usually soft serve involved. Kids of all ages love soft serve and all the combinations: Dip! Sprinkles! Swirl! No matter what kind of operation you run, if kids know you sell soft serve, they’ll be begging their parents to stop in. And on a day like the 4th of July, it’s the perfect treat for parents too. 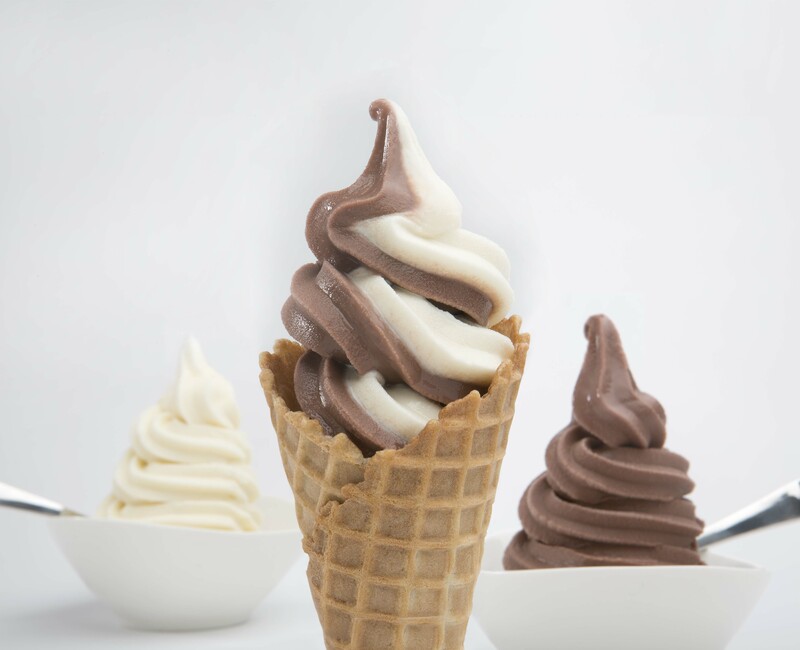 With Frostline®, they can even rest assured knowing their soft serve is free of lactose, cholesterol, and gluten. It’s a childhood favorite, with a better for you twist. It’s easy to customize your soft serve for the holiday too. Melt white chocolate chips, dip waffle cones, and toss red, white and blue sprinkles on top. Or, offer a patriotic toppings bar kids can use to decorate their soft serve themselves. Raspberries, coconut and blueberries will do the trick, but options are as boundless as your imagination. This year, celebrate Independence Day soft serve style, and delight families all over your community. For more information about Frostline Soft Serve, visit our product catalog. Contact us for ordering information. Summer is heating up, and that means National Soft Serve Day (August 19th) will be here before you know it. As the unofficial sponsor of the holiday, Frostline® wants to help you close out the summer with an epic celebration. It’s easier than you might think to bring the frozen fun to your soft serve operation, and there’s no better way to attract customers than with a party. First, whether you’re already a Frostline customer or not, visit our website to learn how to order your complimentary Celebration Kit. All you have to do is contact us, and we’ll send you a kit – no strings attached – that will arrive at your doorstep in just a few business days. Inside, you’ll find signage to hang up in your store and a step-by-step playbook on how to promote National Soft Serve Day. Also on our website, you can download a set of unique images to use in your own social media to help bring customers to your store. In addition, you can learn more about our friends at PAICRA (People Against Ice Cream Related Accidents), whose sole mission is to bring awareness to the dangers of hard-packed ice cream. By serving soft serve, you’re making the safer choice and resting the wrists of your employees. National Soft Serve Day is better with friends. So on August 19th, join us in raising a cone to America’s most delicious holiday. Be sure to share your photos and videos with us on Facebook and Twitter, tagging us and #NationalSoftServeDay. And since the party begins and ends with soft serve, be sure to stock up on your Frostline Soft Serve Mix now. When most of us hear the word “chocolate,” we think of candy, cookies, and other mouthwatering sweets. Of course, everyone loves a decadent dessert. But did you know that for 90% of chocolate’s existence, it was neither sweet nor easily accessible? 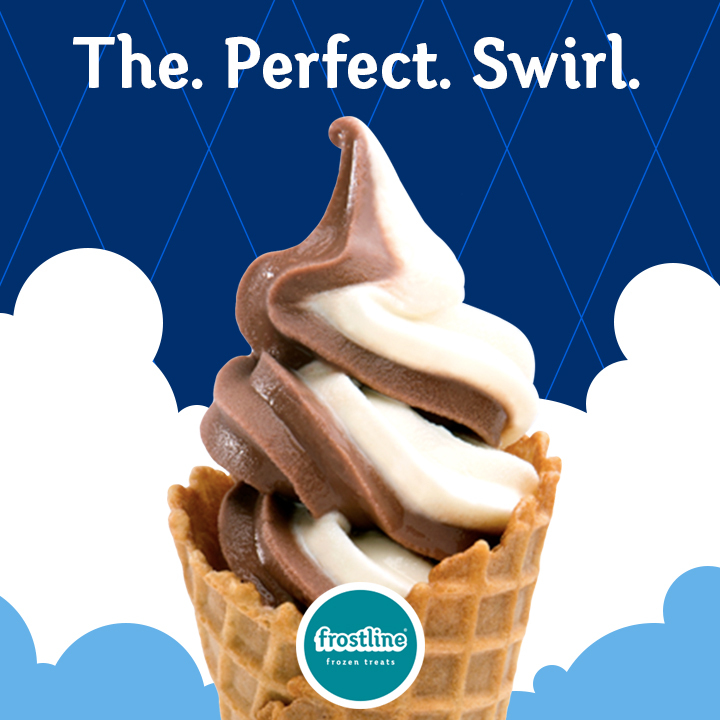 As a modern treat defying that past, Frostline® Chocolate Soft Serve Mix brings you the history of its famed flavor. Even in its unsweetened state, ancient chocolate was so popular that its availability was limited to society’s most elite. This begs the question: if the Mesoamericans weren’t in it for the sugar, what was the appeal? Watch out romantics, because history tells us they found chocolate to be a mood enhancer and aphrodisiac. They may have been on to something 3,500 years before Valentine’s Day was even invented. Due to its…interesting effects, people used to think chocolate had spiritual and mystical powers. They reserved it for rulers, warriors, priests and nobles at sacred ceremonies. In fact, the Spanish explorers who brought chocolate back to Europe only had the privilege of trying the stuff because the Aztec king mistook their leader for an incarnated deity. Europeans sweetened chocolate with cane sugar and cinnamon in the 1500s, but one thing remained unchanged: it was still only available to the rich and royal. Thank goodness for the invention of the steam engine in the 1700s, which made mass production possible. Today, the word “chocolate” has expanded to include a range of sweet and accessible treats, like Frostline Chocolate Soft Serve Mix. Unlike ancient chocolate, it’s refreshingly delicious, surprisingly affordable, and even available to customers with dietary restrictions. 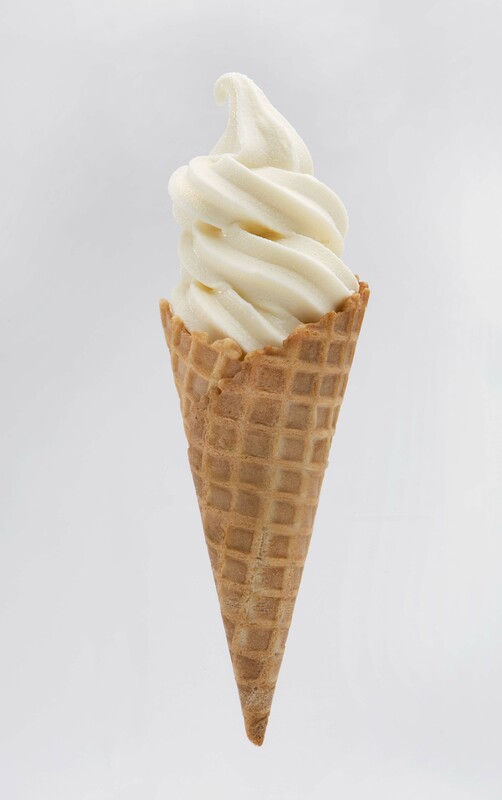 Frostline Vanilla Soft Serve Mix is also available for customers who prefer the classic cone. February 6 is National Frozen Yogurt Day. Let’s dig in spoon first and celebrate this ice-cold treat! Frozen yogurt is eaten almost as much as ice cream nowadays, and it’s easy to see why. Served in an infinite number of flavors and styles, it’s a delicious, healthier alternative to ice cream. But it wasn’t always seen so favorably. The health-conscious trend of the 1970s spurred the creation of frozen yogurt. It didn’t go over very well because many people did not like the taste. It finally gained widespread popularity in the 1980s, after recipes improved to create the frozen yogurt we know and love. Plain flavored yogurt has been around for more than 4,000 years; however, it wasn’t until the 1970s that anyone thought to freeze it. The key to frozen yogurt’s popularity is sugar. In the 80s, frozen yogurt franchises added sugar to balance the tart flavor, and it was a hit. By the 90s, frozen yogurt had a 10% share of the frozen dessert market. FroYo has become a very trendy treat, and unique flavor creations are constantly in the works. In 2015 the world’s first black frozen yogurt was released in a flavor called Black Sakura. The color is due to the addition of naturally activated charcoal, which is said to contain healthy antioxidants and can also help remove toxins from the body. As if you needed further convincing to enjoy this treat, frozen yogurt also contains protein, calcium, vitamins and potassium. These healthy qualities among others can help boost a person’s immune system, lower cholesterol, and aid the digestive system. Like traditional ice cream, frozen yogurt is now available in many different forms. In addition to traditional soft-serve styles, you can also find parlors that feature options like hand-scooped froyo, smoothies that blend froyo with fresh fruit and juice, as well as frozen yogurt filled cakes and pies. While frozen yogurt may have taken a while to gain traction, it can now be found in just about every style and flavor imaginable. Now go out and share your newfound frozen yogurt knowledge as you celebrate this sweet holiday. If you’re looking for a delicious, fat-free frozen yogurt for your operation, Frostline® offers mixes in vanilla and chocolate. Contact us for more information or to place an order. Frostline® Soft Serve mixes are stable for up to one year when stored unopened in a cool dry place. Once the soft serve product has been mixed with water, the mixture should be immediately poured into your soft serve machine or refrigerated in the complimentary mixing bucket with affixed lid. The recommended shelf life of the refrigerated mixture is a maximum of 48 hours. The FDA requires the reconstituted product temperature to be reduced to 41°F within four hours inside the hopper or within the refrigerator and remain at or below 41°F.